Xoom, a leading digital money transfer provider has announced it will launch instant bank transfers, cash pick-up and mobile recharge services from the U.S. to Nepal. 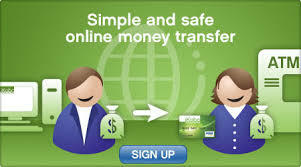 Xoom is partnering with Everest Bank Ltd., Nepal to offer instant bank deposits and cash pick-up. Consumers can also make bank deposits for all other Nepal banks including Nabil Bank, Himalayan Bank and Nepal SBI Bank. In addition to money transfers, people in the U.S. can also use Xoom’s website or mobile app to instantly send airtime credit to prepaid mobile phones from Ncell, Nepal Telecom and UTL. Migration for foreign employment has become a major source of income for many Nepali households. According to the International Labour Organisation, close to 520,000 labour permits were issued to Nepalese planning to work abroad. Xoom helps Nepalese immigrants in the U.S. instantly send money or recharge mobile devices for their friends and family in Nepal within seconds using a U.S. bank account, debit card or credit card. As per the World Bank, Nepal received an average of $500 million per month last year from migrants across the world. Through the partnership with Everest Bank and other major Nepal banks, Xoom customers can transfer up to $1,000 for a flat fee of $4.99. For transactions beyond $1,000, the fee will be waived when paying with a U.S. bank account. For mobile recharge, it only costs 99 cents per transaction for a range of recharge amounts from 500 Nepal Rupee (NPR) to 2,000 NPR. Customers can send money and recharge mobile phones with confidence due to Xoom’s SMS tracking alerts, 24/7 customer support and money back guarantee. The moment money is sent to a bank account or airtime is credited to a prepaid mobile phone account, a free confirmation text message is sent to the recipient. Xoom also auto-saves the transaction information, including the bank account or mobile number, payment method and amount sent, enabling repeat transactions to be completed with just two clicks.